I love tulle skirts and I finally had this one specially made for me. Wanting to keep it more modern I styled it with my leather biker and logo tee, I just love the contrast between the flaoty 'fairytale' fabric and the tough rock chic edge exuding from the top half. 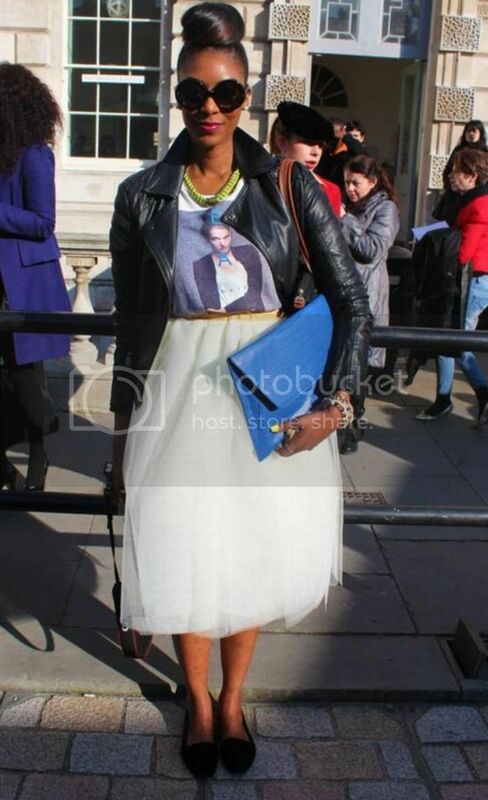 I LOVE a prim skirt with a graphic tee!!!! Me too...so easy to wear! Gorgeous outfit! Super love it! 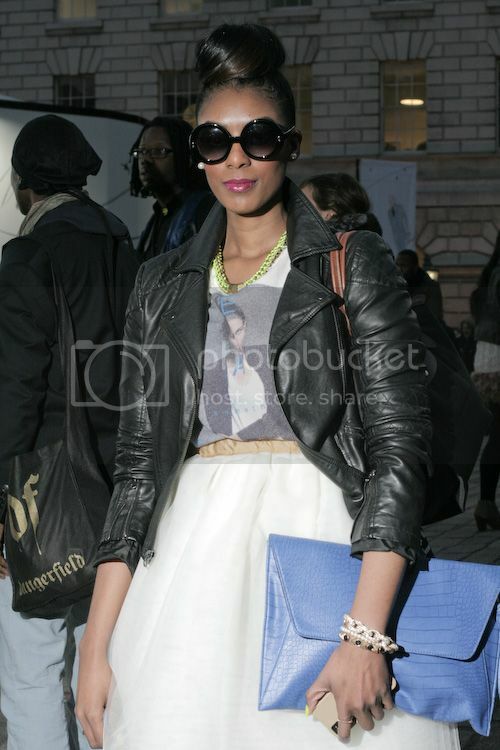 Love the bag and t-shirt - you look fab! you have amazing style! 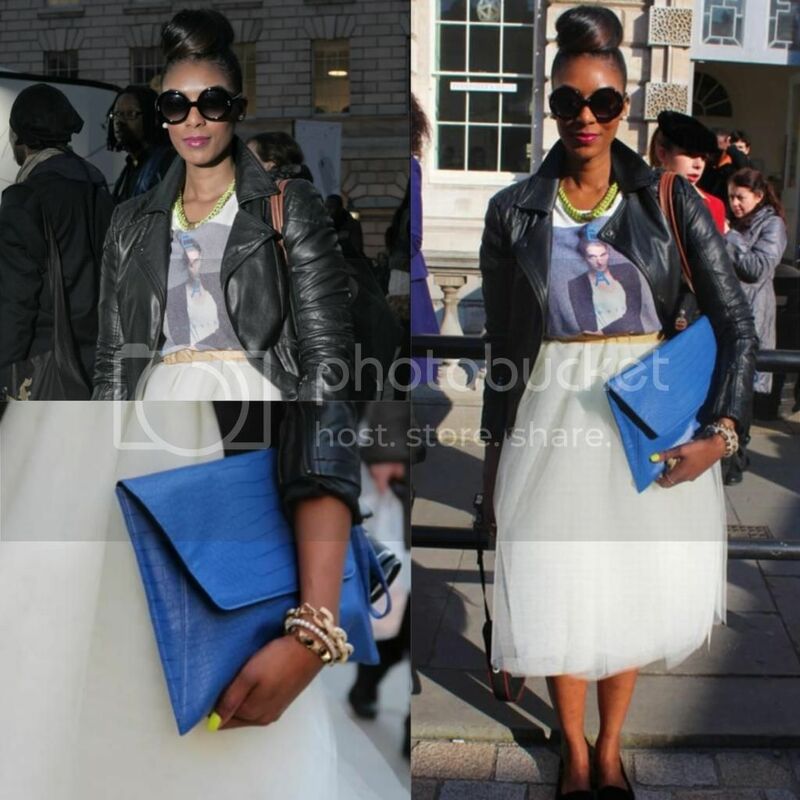 love your skirt, hair and bag, hope you had fun at lfw! 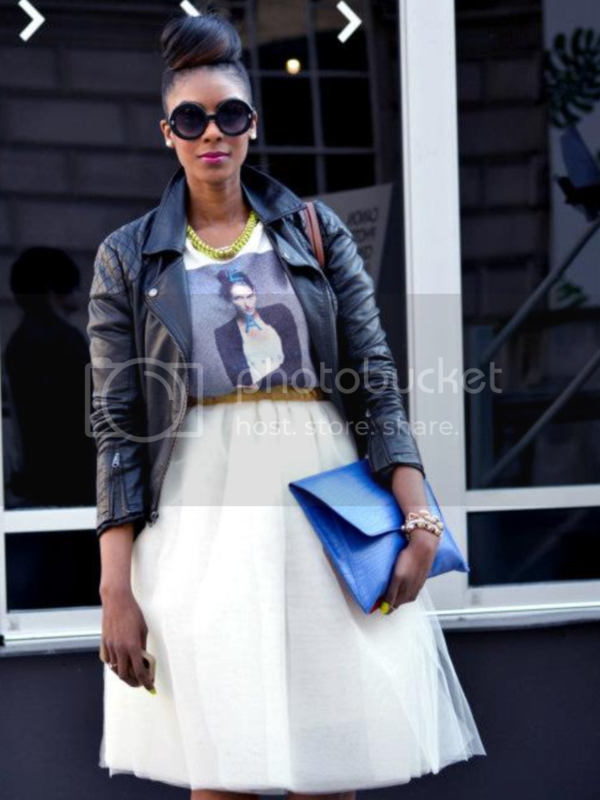 I love how your full skirt looks with the graphic tee! So cool! I absolutely adore this skirt! 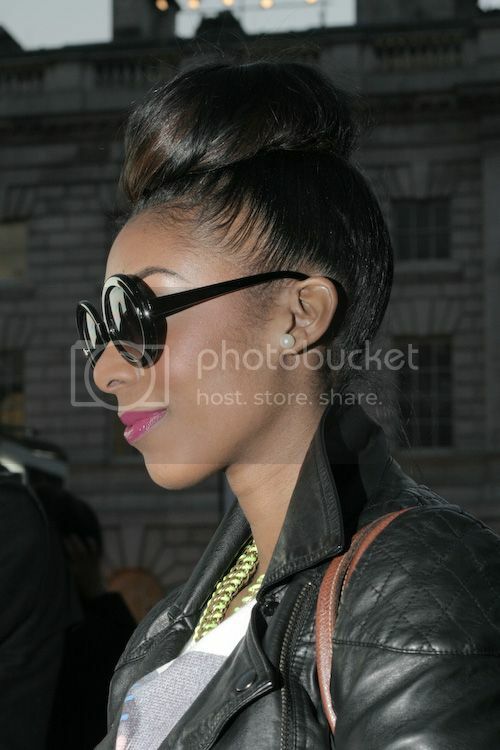 And even more our hair, that bun is amazing! This outfit definitely work with your figure. It underlines your waist. I like such skirts because they make your waist to look even smaller. They are also very girly. 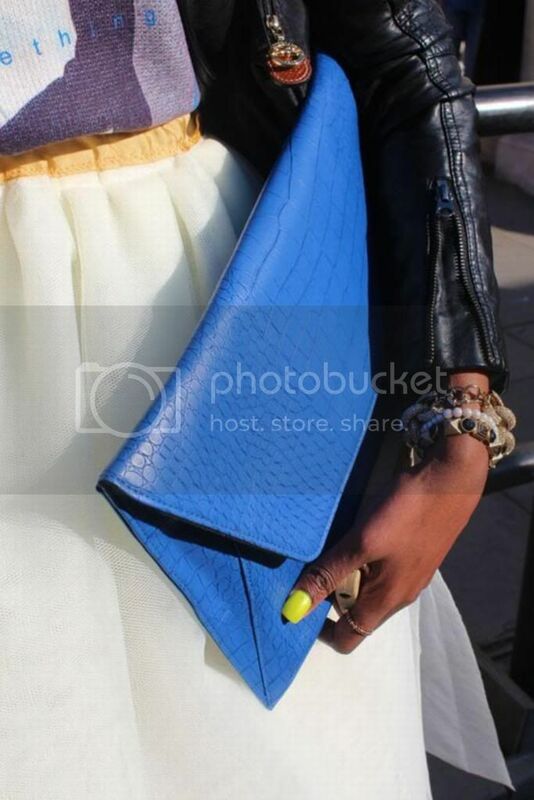 Necklace & your nails this is great color block, work really well with the outfit. And clutch I like the fact that it's a different color, makes it even more interesting. Oh this skirt is so gorgeous!!! Love it with the leather skirt to make it more edgy! JUST found your blog.. I'm SO obsessed with your style! LOVE the ballerina skirt. Newest GFC follower!! Gorgeous skirt and gorgeous outfit. I'm also a tall girl (6 foot) and am so happy to find another tall blogger! You look gorgeous! 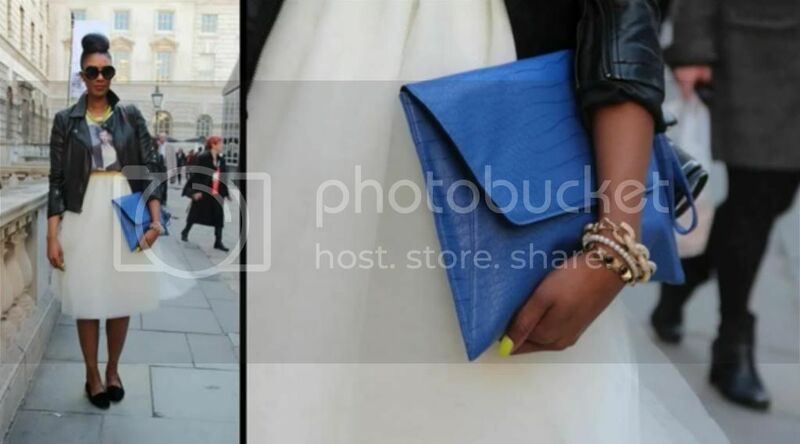 I love your hairstyle, sunglasses and clutch. Nice style!